ChutingStar is headquartered in Marietta, GA, 5 minutes from I-75. Whether you are traveling to your favorite east-coast DZ or local to the area, we are a convenient stop on your way being just an hour from Atlanta-Hartsfield Airport. ChutingStar is 9 miles north of the new iFly Atlanta indoor skydiving wind tunnel and we are centrally located between the major Georgia Drop Zones, including Skydive Georgia, Skydive The Farm, Skydive Monroe, Skydive Atlanta and Skydive Spaceland-Atlanta! The ChutingStar Skydiving Crew is out jumping or tunnel-flying on the weekends! 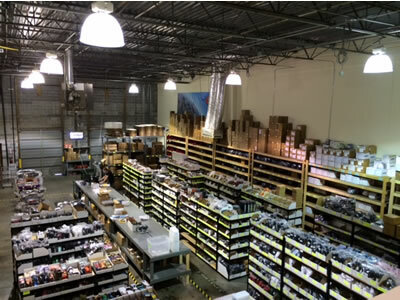 Marietta, GA, is home to our business and sales offices as well as our warehouse packed with the latest skydiving goods. Come meet the ChutingStar Crew and Get G'd Up! To learn about the history of ChutingStar, and how we became to be the leader in Skydiving Gear Equipment Sales, Expert Advice & Support, read The ChutingStar Starry Story on Mike & Stephanie Gruwell. You'll find that ChutingStar is not your ordinary drop zone skydiving equipment store. In addition to our fully-stocked walk-in shop, warehouse and online gear store at ChutingStar.com, we also have the most extensive Skydiving Equipment Blog in the industry, run a Senior Parachute Rigger Certification School, support and attend skydiving boogies year-round and are highly regarded for our unbeatable customer service. Tell us what you think of ChutingStar Skydiving Gear SuperStore by writing a Google Review here! Our Skydiving Gear Showroom is fully-stocked with all of your favorite gear as well as all the latest gear you haven't been able to check out in person. Let us help find the right gear for you! Our ChutingStar Skydiving Gear Sales Crew works with skydivers from all over the world to choose the right gear the first time, give unbiased expert advice and to help upgrade skydiving gear you already own. Stop by to check out our showroom, our warehouse with the latest stock or get fitted for a new helmet, rig or jumpsuit. You'll discover quickly upon arrival why ChutingStar is THE Skydiving Gear SuperStore! 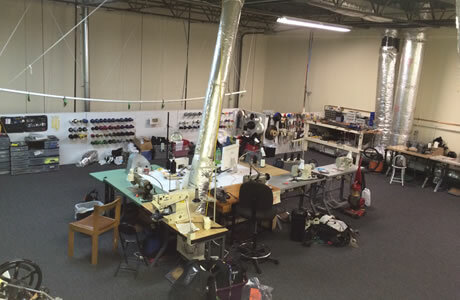 ChutingStar provides a full-service parachute rigging loft in Marietta, GA, for all skydivers and pilots. ChutingStar is centrally located between the major Georgia DZ's, including Skydive Georgia, Skydive The Farm, Skydive Monroe, Skydive Atlanta and Skydive Spaceland-Atlanta, to provide rigging services to experienced jumpers and drop zones every week. The ChutingStar Skydiving Crew is also out jumping or tunnel-flying on the weekends! We are staffed with the Atlanta Designated Parachute Rigger Examiner, two FAA Master Parachute Riggers and one FAA Senior Parachute Rigger. You can drop off or ship your gear for repair or maintenance and speak directly to any of our expert parachute riggers. Tell us what you think of ChutingStar Rigging Loft by writing a Google Review here! For more information regarding our services and rigging loft, visit our Parachute Rigging Services page.